SAVE: Check our volume discount options below for $Savings!! Description: Make, upgrade or fix a pair of earrings. 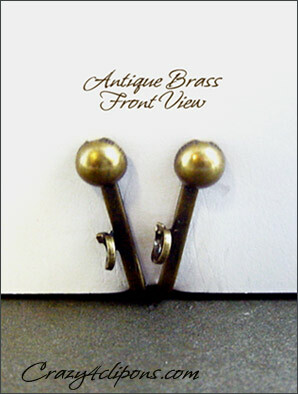 With these antiqued brass clips the possibilities to repair vintage jewelry are right at your hands. 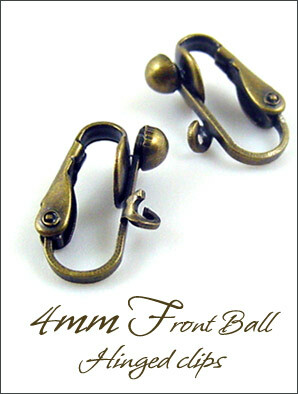 These 4mm front clip balls have a slim front look with a smaller ball, they are great for small/med size earrings by keeping a good balance to the overall earring design.